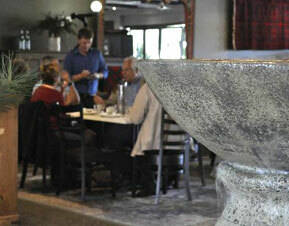 The Nook Caffe Restaurant is one of Queensland’s finest dining establishments in Australia. 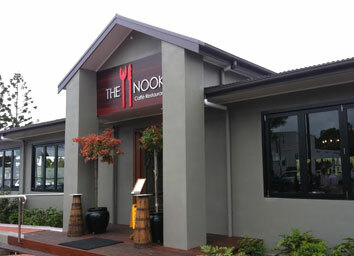 Specializing in serving Modern Australian cuisine, Nook is known for their all-day dining experience, ranging from their delectable breakfast treats, scrumptious selections for lunch and exquisite meals for dinner complimented by a wide selection of fine wine, beer and other beverages. With a world-class reputation of fantastic service, delicious cuisine and sophisticated dining environment, it only made sense for Nook to contact Biometrics Access Systems (BioAccSys), who provided them with FingerTec’s Q2i for their time attendance needs to match the restaurant’s reputation. Prior to installing FingerTec’s products, Nook took down attendance the old-fashioned way, by manually noting down times and wages on attendance sheets. With a team of 40 people, Nook wanted a new system that was simple to use, convenient, negates buddy punching and false logging, and improve workplace security in terms of wage. With Nook’s needs already been made aware of, BioAccSys was able to propose installing Q2i for their restaurant. In addition to using the Q2i device, Nook also installed the TCMS V2 software and has started to export their data using the report function from the Detailed Attendance Report. Using the TCMS V2 software, they created multiple shifts capabilities using the work code function, which really pleased their customers. Nook really appreciated BioAccSys’ service because they were the only time attendance company to install the TCMS V2 software onto a Macbook. They were really happy with the easy use of the Q2i and TCMS V2. This successful installation has only strengthened the bond between BioAccSys and the FingerTec family and the relationship between both parties will only continue to grow bigger and better.